4X4 BENTLEY CARS: Walter Owen Bentley founded the prestige and luxury car makers in 1919. He was adamant they would build "a fast car, a good car, and the best in its class". The first Bentley rolled out of production in London (called the EXP 1) at Cricklewood. It became the inaugural home of Bentley's car production until 1931. That's when the company got sold for £125,275 to Rolls-Royce. Bentley Motors is now based in Crewe, Cheshire. They have been producing 'mostly' hand-built luxury cars at that factory since 1946. All the latest Bentley models followed the very first Mark V1. The German based Volkswagen Group acquired Bentley in 1998. It has been one of the top employers for the British workforce ever since. Yet, the company operates in more than 50 countries worldwide. This is a worthy contender for the world's most opulent SUV. It also matches an Aston Martin for speed and a Range Rover for off road driving capabilities. Bentayga got created to transport their owners to the most extraordinary places on earth. 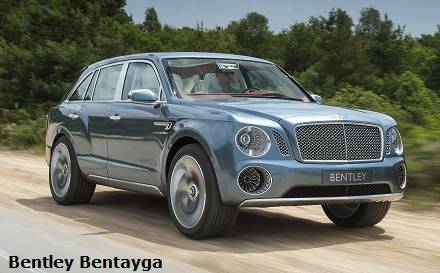 Bentley's SUV has undeniably taken off roaders to a new level. Read the full report on the ground-breaking Bentley Bentayga SUV. The flagship saloon combines opulent luxury along with scintillating performance. But, it has a very high buying price. You have to agree that Bentley Motors is not your average car maker. Few automobiles ever get built this well. 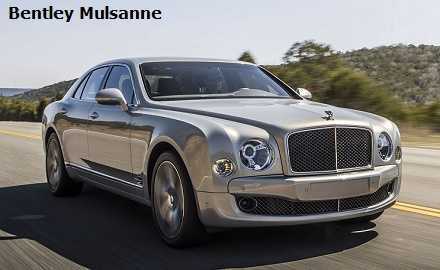 Get all the saloon 2016 model details in the Bentley Mulsanne review.